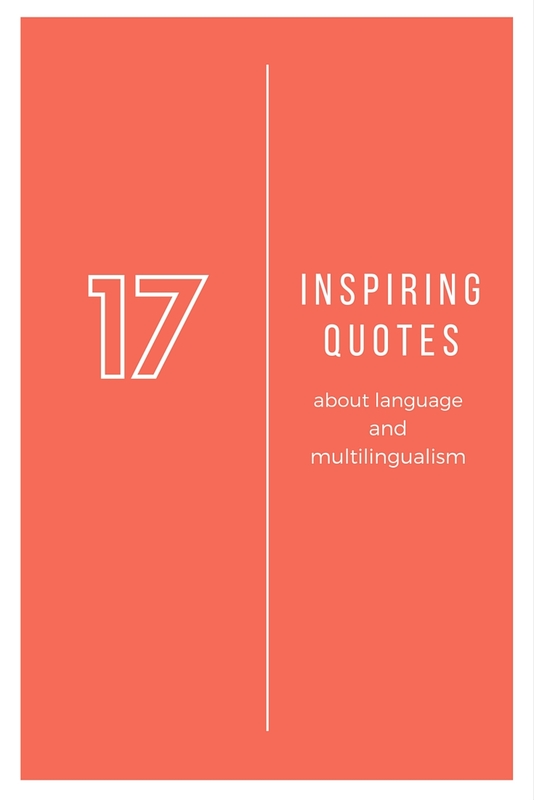 A few days ago Adam Beck from Bilingual Monkeys wrote a post on inspiring quotes for parents of bilingual children. I loved the list. So I thought I'd share my own list of language-related quotes. I have had this list on my computer for ages and thought it would look much better somewhere people can actually read it. In the lives of individuals and societies, language is a factor of greater importance than any other. For the study of language to remain solely the business of a handful of specialists would be a quite unacceptable state of affairs. Many Americans have long been of the opinion that bilingualism is ‘a good thing’ if it was acquired via travel (preferably to Paris) or via formal education (preferably at Harvard) but that it is a ‘bad thing’ if it was acquired from one’s immigrant parents or grandparents. It makes as much sense to ask your doctor for advice about bilingualism as it would to ask him about your car. Which one is your favourite? Do you have another one I could add to my list (even if it is not in English)? Please do share. Annabelle, I like this collection of quotes very much. Fishman's observation about the American opinion of bilingualism (though it's hopefully changing now!) is thought-provoking. My mother, in fact, acquired Finnish as a child, from her immigrant parents, but it wasn't maintained as she grew older and I suspect that unfortunate "American opinion" had something to do with it. Arigato for this post (and for mentioning me)! You are right Adam. While the quote is a bit of a stereotype, I think it is still the case, to a lesser extent, on a lot of western countries. Is there a reliable source for that Charlemagne quote? I love it, but it doesn't ring true to the time period. I think it would be really difficult to find a reliable source for Charlemagne. You may be right though. Hi there, I like the last one the best. A smile always works if you're at a loss for words no matter what the native language is. Happy New Year!